One of my favourite quotes is that even a broken watch is right twice a day. As a gambler, I think most of us would like to have a better strike rate! Damn Watch. That latter topic sounds much more interesting. This adventure related to my laying horses to lose. That's two-year-old horses. I don't understand anything else. Now, I'm not going to talk too much about my approach or the philosophy behind my laying tactics because it is a work in progress and rather boring in its written form. I must admit I don't find any form of gambling particularly pleasurable. My reasoning is that I have the odds in my favour. As every speculator will appreciate, that betting slip (in mind if not in hand) often morphs into a stick of dynamite. The fuse burning too damn quick. Lay betting can feel rather daunting. When you've laid the rag and it's travelling with the zeal of a six-to-four jolly it makes the eyes bulge, the heart race, and your pocket has a kind of lost empty feel. Not very jovial. Well, that's the nature of the beast. Equine. You know, those things the commentator keeps talking about. So how did the season go? Well, I was amazed. I know what you are thinking? Is that a good or bad amazing? I just took a double-take to see if my hand had been blown off. For the most part, it was amazingly good - with a slight disaster at the finish. I started small laying juveniles to win five pounds a time. That may seem a pittance but it can be a costly affair if a 20/1 shot has an exceptionally long neck. I'm pretty sure I laid a couple of giraffes this year. Last time I go to the bloody zoo and say what lovely creatures. I'm not against laying a good few horses in the same field. Races would come and go. I'd be winning ten, twenty, fifty pound a race. Everything was going well. Amazingly so. After winning several hundred pounds I considered it was time to lay each horse for twenty pounds. I knew it was a risk but time is money and all that. It made me a little nervous. The bets ranged from laying favourites to huge outsiders. It can be slightly unnerving to lay a horse which could cost a couple of thousand. I always hope they fall out of the stalls and as fat as a pig. At that moment my potential terror of what could be turns to joy. Righteousness. Being right rather than religious. Obviously, there is a good reason why I lay such horses. There is an understanding, reason, professionalism. I'm not pinning the tail on the donkey - just trying to find it. However, that doesn't mean any horse cannot win. They do. The beasts. Those chestnut giraffes can be killers. To be fair I laid an incredible run of losers. In a matter of months, I had turned my five pounds to four thousand. In a sizable field of maidens, I would win up to two hundred a race. However, this approach doesn't allow you to just take any old race and wave my stick of dynamite. For starters, on many days there would be a limited number of two-year-old races. Certain race types were ignored. I had a feeling of confidence. For a moment I considered however fast that fuse burned if I filled my lungs with joyous - winning - air I could blow away that hellish spark. On occasions I got my fingers burned. You have to remember that although I follow a professional approach there is something very different about working in practice to paper trailing. Thankfully I wasn't hit by a 100/1 shot. That would have been hard to swallow. But if you lay a bet you should never be surprised if it wins. It is probably sensible to imagine it will blow your socks off. I laid a couple of horses which won at 20/1. Not good. Although from my understanding I wasn't wrong in my approach. Horses win, horses lose, that's how it works. I must admit that in those early months of laying what must have been a hundred plus losers on the trot it all seemed ''amazingly'' straightforward. At the back of my mind (often at the front...and certainly in my pocket) I didn't believe it would last. I didn't expect it to follow a scenic path. I've watched The Wizard of Oz. You have to meet a scarecrow, tin man, lion and a couple of flying monkeys before you get a chance to melt a green-faced witch and steal her bloody shoes. Although - thinking about it -hadn't she already lost them? I hit another couple of winners. A few bets cost a good few hundred. Financially it wasn't a problem but psychologically it was tougher. The next few lay bets made me really need them to lose. With a few winning days under my belt, I shrugged off the loss and by a week or two, I was back to an all-time high. However, little by little I hit a plateau. The four thousand pound mark became a wall. 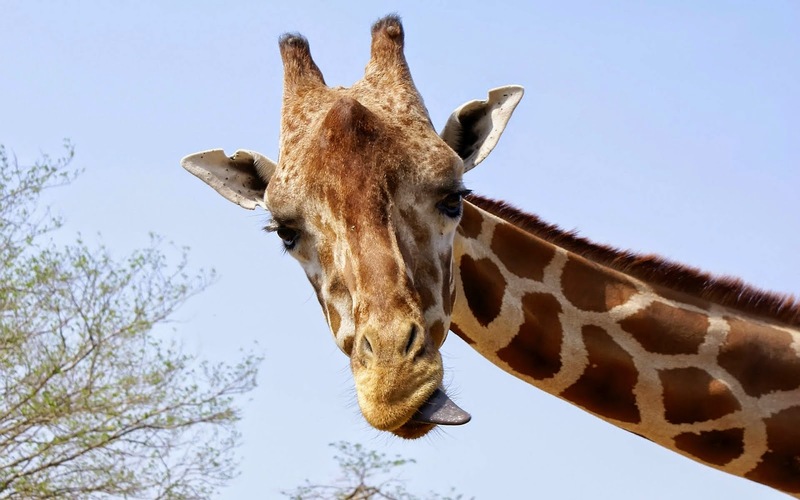 Each time I would climb the ladder to look over the other side I would be beaten to it by a giraffe who stuck out an incredibly long tongue. Sure the thing blew a raspberry before it came into view. I went from four thousand. Three thousand. Back to four thousand. Kicked in the nuts by a wilder beast. It was a struggle. I didn't feel the approach was wrong. A few of the decisions come down to a photo finish. Prolonged agony. I realised that I needed a tweak here and there. Knock a few trainers on the head because they had done my brain in. That learning curve felt as though it was tying me up in knots. I'm sure that the watch stopped when I wasn't looking. The end of the two-year-old season was on the horizon and I was looking forward to a rest. One of the last bets was a killer blow. It didn't finish me off but it dampened my spirits which were already low. Of all days. I had been to the funeral of my aunt and switched on the races to see a Luca Cumani debutant which I laid for twenty pounds. The favourite struggled. In turn, I had an uneasy feeling...which continued to cause concern. The beast travelled like a gazelle. I gave up trying to work out whether its neck was long or short. Its legs moved fast. It hit the front, cruising Kempton's final bend and lengthened clear into the straight. The loss I had expected materialised costing nearly eight hundred pounds. It wasn't the best of feelings. I'll be back next year with my tranquillizer dart.